AM radio, the senior broadcast band, no longer has the luxury of time to correct its problems, if those problems can be corrected at all. This week there’s an assembly of “radio people” in Atlanta. The annual NAB/RAB Fall Radio Show, where station owners get to have free drinks on the vendors gathered trying to sell them something, engineers get to see the latest cool new gadgets and the National Association of Broadcasters (NAB), the Washington, D.C. lobbying arm of broadcasters, can get some press about all the great things the industry is doing. All well and good. It’s now been two years since a Federal Communication Commission (FCC) chairwoman got the crowd at the 2013 Fall Radio Show cheering about what the FCC was going to do to save AM radio. What’s been done? Predictably, NOTHING. While I disagreed with many of the ideas the FCC was proposing back then, you should be more outraged at their inaction. Even with our current “do-nothing” and “retire with a big pension representative government,” there is no excuse for the harm the FCC is now causing AM radio. Two years is an eternity in today’s ever changing technological world. Here’s something you may not realize. The iPhone, the device that changed the way you communicate, document your life with pictures and keeps you entertained and connected through social media apps was introduced in 2007, just 8 years ago. Technology changes fast and waits for no one, especially the FCC and broadcasters with little focus or desire to save a technology created over a century ago. History shows “amplitude modulation” was not originally thought of for voice or music. It was meant to transmit morse code, where fidelity didn’t matter and today’s data may be its future. The problems with today’s AM radio weren’t created overnight. Its demise started decades ago when the FCC allowed more and more stations, full-time and daytime, high and low power, non-directional and directional to be crammed onto the dial. Today, additional interference from modern lighting, computers, smartphones and other things, creates an interference filled AM broadcast band. 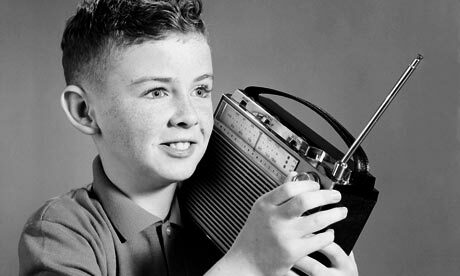 If listeners want the “limited programming” available on AM, like conservative talk shows, sports, religion and brokered programming, they can find a better and more convenient way to hear it, like streaming over an iPhone. AM’s problems are interference and limited programming choice, the core issues facing AM radio today. So what can be done about interference? In 2013, the FCC issued a “Notice of Proposed Rule Making” (NPRM). Pretty much everything it proposed then, which they have done nothing to advance since, will take a lot of time, something AM radio no longer has. Most, if not all of the above, will cause more interference and/or signal distortion on the AM band. The final proposed fix was allowing AM licensees an exclusive filing window for FM translators, which I previously said won’t help AM radio “because the translators are on FM.” All joking aside, allowing more stations to be jammed onto the FM band is nothing more than the “AM-ization” of FM and will cause more interference and decreased signal coverage for existing FM stations. Revitalizing the AM band by allowing licensees a low powered FM translator frequency is not “revitalization.” It’s a white flag surrender with the FCC and broadcast industry giving up on the AM radio. And could that be the ultimate goal? Freeing up the valuable AM spectrum space to be auctioned off for other uses, like wireless data? Current FCC Chairman Thomas Wheeler, a former lobbyist for the cable and wireless industry, has come out saying the FCC would finally move forward with AM revitalization, but without the AM-only filing window for FM translators because he doesn’t think there are enough translator frequencies for the AM licensees wanting one. Plus, it may not be fair for AM station owners to have an exclusive filing window, excluding others groups who may also want an FM translator frequency. And there are others in the FCC that have said there may already be too many FM translator stations. Ya think? AM has precious little time left. 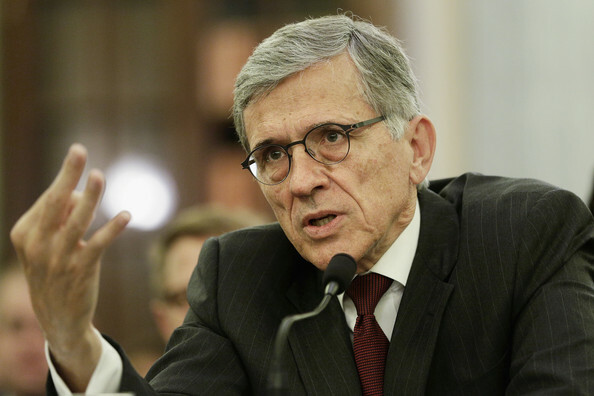 The FCC must move on the things it can control and fix quickly. Number one on the agenda must be cleaning up the interference on the AM band caused by too many stations and that starts with taking back the licenses of hundreds of low powered stations, leaving the band to higher powered and viable AM stations. The surviving AM stations could then increase power and adjust patterns allowing for expanded coverage over the entire areas they are licensed to serve. I’m guessing, however, I’ll be writing another article in 2017 saying the FCC has still done little, if anything, to save AM radio. ← Idea? “Local” Morning News from Another City. Brilliant! Good points Darryl: While I”m a techie in many ways, I reflect the more average American in cars. Average car is 11.5 years old. My time came this year, and unlike the last several cars, I decided to buy a brand new BMW before I made the move to Atlanta and rebuilt our careers there. This way, I’d have a nice car, and wouldn’t have to worry about payments for a while. That thrust me into amazing technology. I can listen to top stations and get a better perspective as I drive around during the day. Well, that’s when my Iphone 6s doesn’t shut off (Iphone 6 plus had same problem) mid stream in the middle of Atlanta, right next to the Tower, or I don’t have to hear a commercial, to hear a commercial to watch the wheel spin to hear the station I’ve chosen on an app; I was gone 30 seconds ago. So, that’s a two-fold problem. It’s not the car. It’s Apple and/or AT&T haven’t yet perfected their network and the stations think the average listener are actually going to sit through that stuff. Ok – so after the honeymoon, I’m not listening to apps in the car much anymore; it drives me nuts; I don’t think that is what’s hurting radio. And, I test drove several different brands: all about the same. So what’s left? XM Radio. Being a news junkie, I can prep while I sit in traffic on GA400 for an hour running my non-radio business. It’s great and with repeaters almost never drops. But, I’ve come to the conclusion that TV “gets it” less than radio; one area we have an advantage (they create constant video and fight to keep it off the number one video site in the World: youtube = insanity by TV). Plus, Constant hype, promo and then crappy analysis and delivery. So, if I’m just listening as a listener, I’m out = XM is free in my 2015 BMW and not sure that I’d pay for it other than show prep. What’s left in the morning after I drop off the kids? News Wheels on Radio and syndicated shows. Nothing meant by this comment, but Bill Bennet seems to be my choice show as I”m stuck in the truck without my technology and before 9am. Market 9. Unreal. At least, with Bill, I learn something everyday with his guests on foreign and economic policy. As to local in the AM drive in ATL….Yes, there are two stations telling me who shot who all last night, but even as a listener I couldn’t give a crap. Unless it’s next to my condo, I’ll read it in two minutes on twitter. Then there’s HD radio – works like a champ all through Atlanta on my car. And our AM stations are on FM HD. Problem is that most cars don’t have HD (maybe 500k in ATL total, in a market of 6.5 million). But even if every manufacturer started today making HD radios in every car in America (which I believe would absolutely rid us of the signal issues of AM), it would take 5-10 years to get our AM talk stations competitive against FM. My dad has a 2015 buick – no HD radio; I won’t hold my breathe. And, at the end of the day, my show is on HD3, HD2 replay, AM 25,000 watts, 2nd AM 25,000 watts, soundcloud, itunes, iheart, tune in, website, internet, and probably ten other things I don’t know. Having a car with HD, AM, FM, XM, Tune in and everything else I could want, I still can barely find 30 minutes of crap I can sit and listen to without punching the button and leaving usually in less than 10 minutes, in Market 9 and with factoring in Cable on XM. Well, except when Donald Trump is on Fox Business XM for 30 minutes; that’s great radio even though it’s TV! THE PROBLEM IS NIELSEN MEASUREMENT GIVES NO CREDIT FOR ALL THE POSSIBLE DELIVERY SYSTEMS AND MOST OF THE SHOWS ARE PIPED IN AND IRRELEVANT TO THE LISTENERS daily lives. If it’s that way in Market 9, I”m sure it’s that way in 109 or whichever. The problem with radio is not the signal, not the technology, not the competing factors……it’s the lack of true radio people who understand how to produce a show, create energy, polarize the audience a little bit, and hijack the social media conversations in the market to build their brand(s). When (IF) we get that, in this industry, these half-baked untrained podcasters won’t be able to get a word in edgewise. And, this completely discounts the fact that sales is the ultimate goal, regardless of ratings. Most sales people seem to want KIIS fm to sell; having returned to this industry after running a 400 person sales organization for many years (before selling it), I”m astonished that we have FM music sellers selling spoken word product. In the end, the industry doesn’t promote great talent, take chances, and blow up the sales model that is not working. Who cares about signals? After an evening college football game, a local TV station ran three promos promoting their local news before the actual news show came on. Nothing between as per commercials of any kind, just the promos rather than going right to the news. One problem AM radio has today — far too many lower-powered local stations, reducing each others’ range — may partially correct itself as more unprofitable operators are allowed to go dark. Where I live, AM is usually some form (political, religious, sports, ethnic, etc.) of talk, but those format segments are largely saturated, and many are marginally profitable at best. Music-format AMs are often in worse financial shape because they have to compete with FMs. As the weaker AMs leave the air, the FCC should not allow new AMs on those frequencies (in most instances) but should “just let the herd thin itself out”. Then, at some point in the future, let the survivors apply for increased power, directional patterns, frequency changes, site relocation, or whatever will work for them until once again we have strong regional and national signals at night that have a chance of making profits. The federal government might even consider offering tax incentives for some AM operators to relinquish their licenses. Obviously this would work best if the stations taking this option were only those in areas already well served by other local stations; perhaps the licensees would have to demonstrate why turning off their transmitters would be in the best interests of all concerned. The only question in my mind is this: will AM itself survive long enough for any of this to happen?